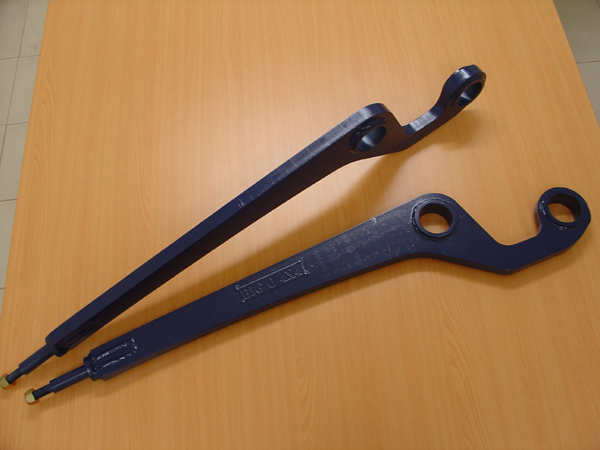 Big-O-4x4 manufactures dropped radius arms for Nissan Patrols, 78,79, 80 & 105 Series Land Cruisers and Land Rovers. 3, 4, 5 & 6" versions are available to suit your desired suspension setup. Drop arms are an effective method of correcting steering geometry when correctly matched to the suspension lift installed on your vehicle. 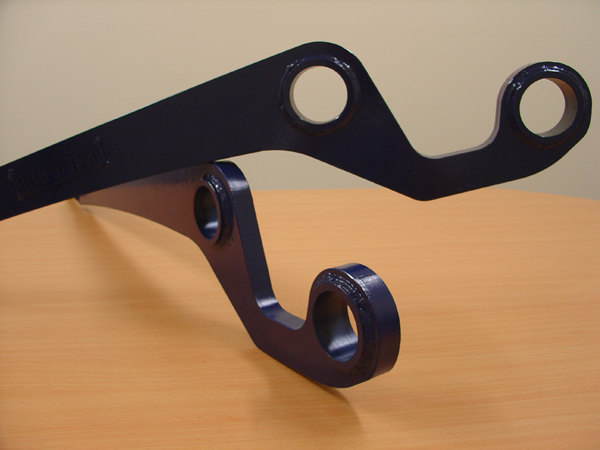 The latest revision of the Big-O-4x4 radius arm is constructed from 25mm 350MPa plate steel. Arms are painted satin black but a range of colours are available. Powder coating available at additional cost. No bushes are supplied, Genuine GU Nissan Patrol slotted bushes recommended for improved articulation over solid genuine bushes and available at additonal cost. Patrol original sway-bar mounting points available on request. 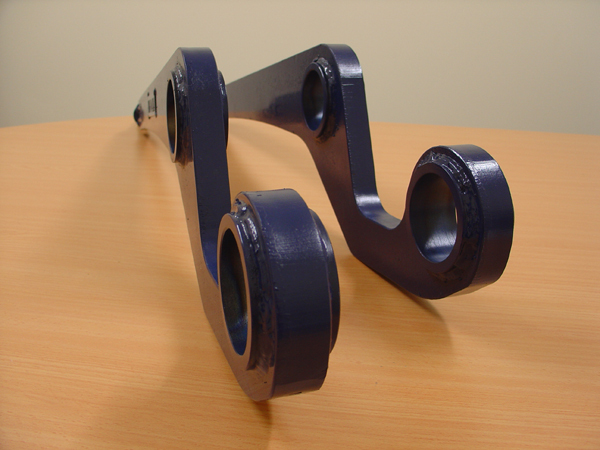 Custom arms can be manufactured to suit any lift and/or diff spacing. Fitting service available at additional cost.